extra sintered iron friction plates. 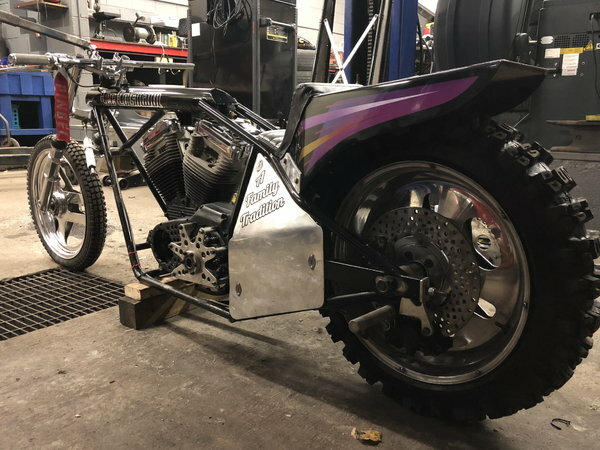 Included with rolling chassis is a 75% complete '88 Evo XL 1200 engine. Bike is for drag racing only, will be sold with bill of sale, no title. This bike has history behind it and was campaigned by my father from '94-'97 in Pro Gas in the East Coast AHDRA circuit. Most recently bike was last raced in 500ft dirt drags but is ready to go back on blacktop with a fresh set of slicks and a complete engine. Price is slightly negotiable, no trades, no payment plans. Cash only, buyer is responsible for arranging shipping or picking up locally. Call or text 3042906910 for more information or pictures.